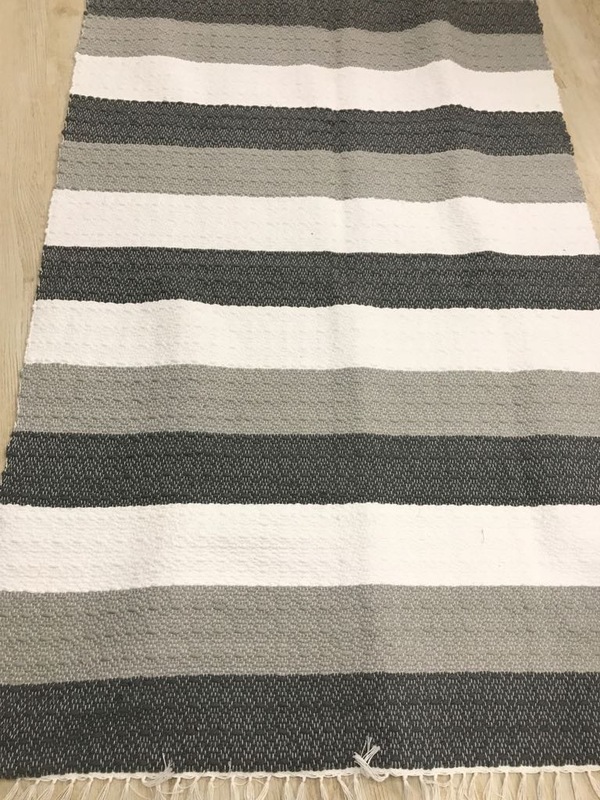 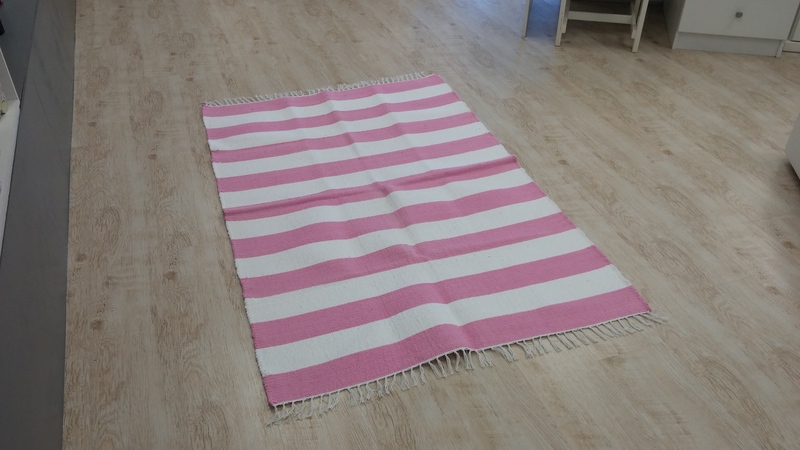 A variety of sizes, patterns and colours are available in these quality machine-washable rugs for your child’s bedroom or playroom. 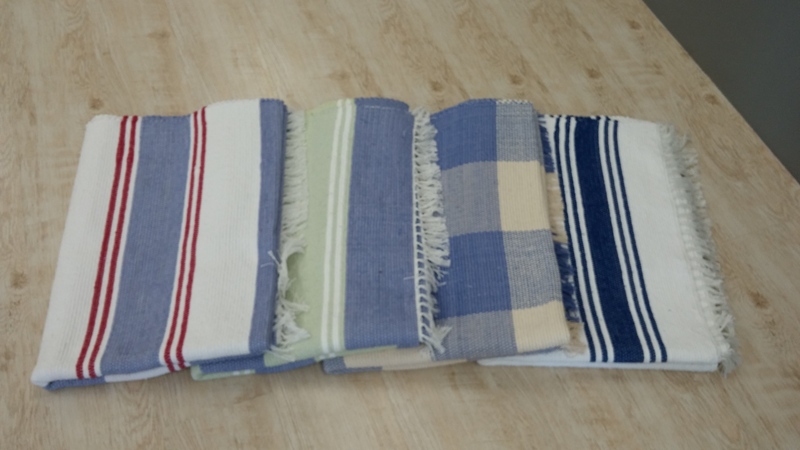 The range of patterns and colours varies over time and some may no longer be available owing to what dye and fabric is currently available, so please always check with us if the one you want is still available. 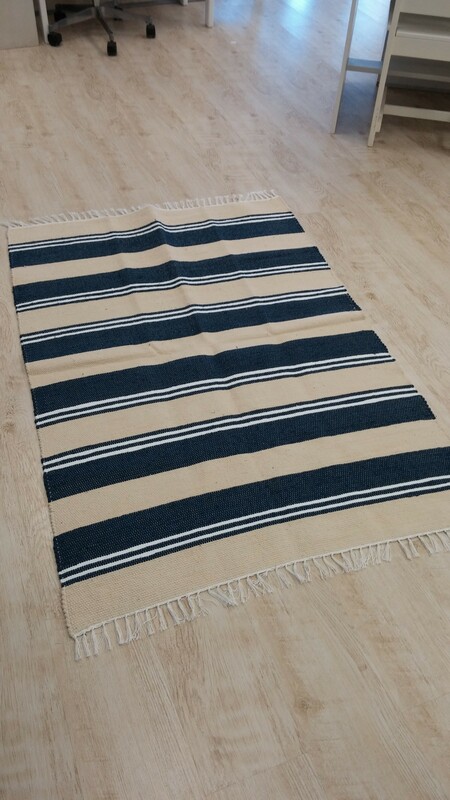 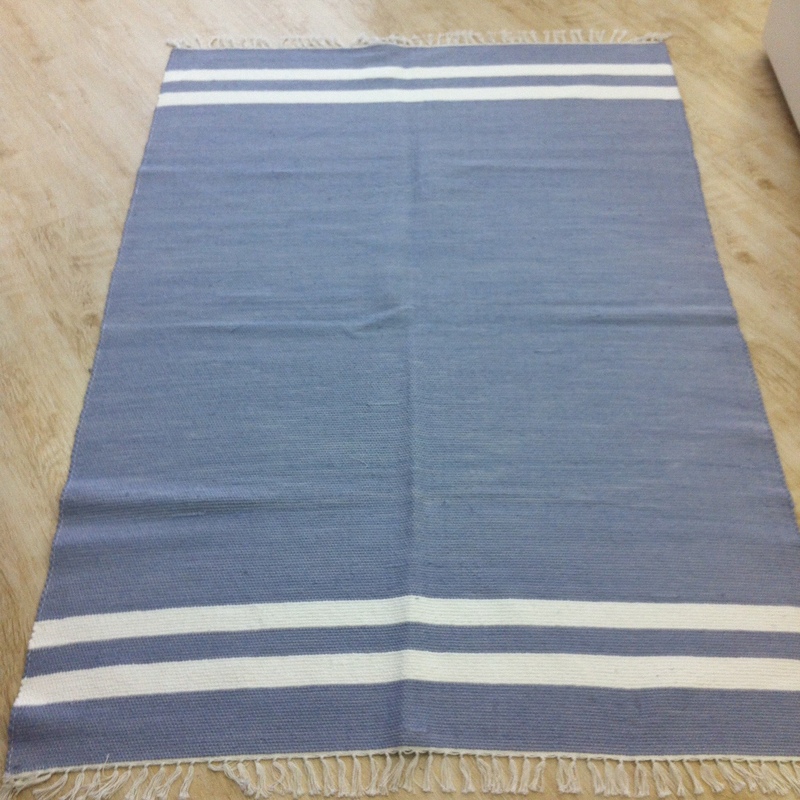 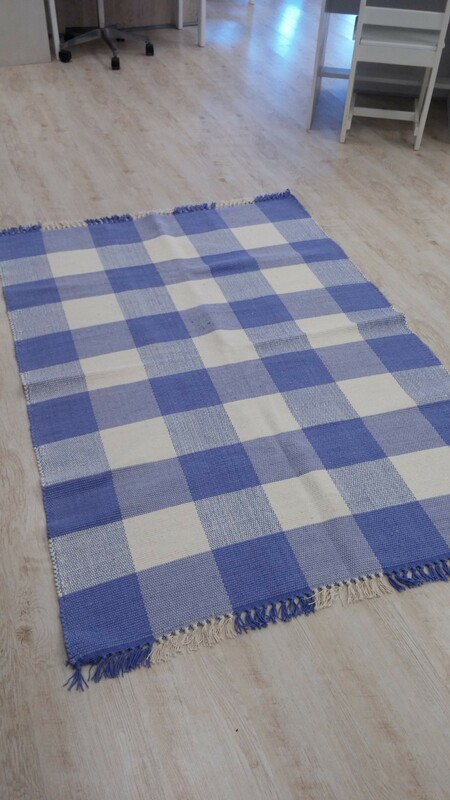 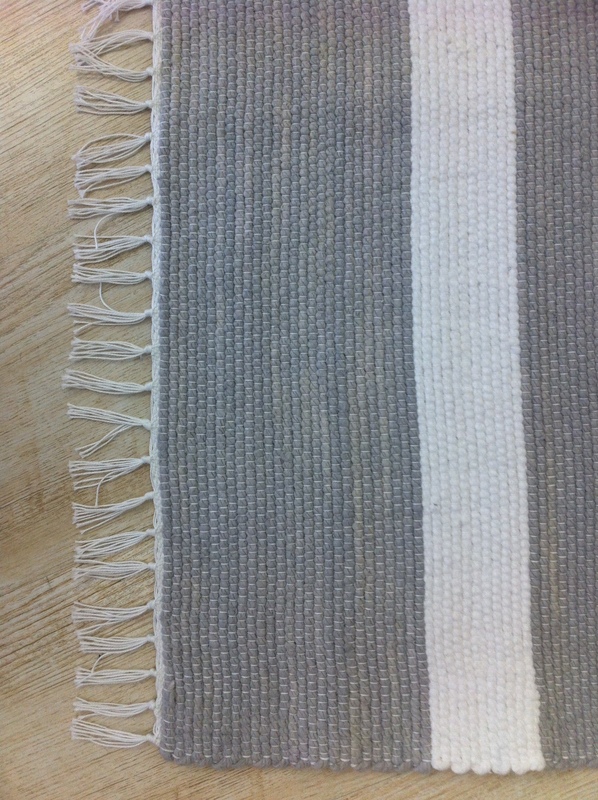 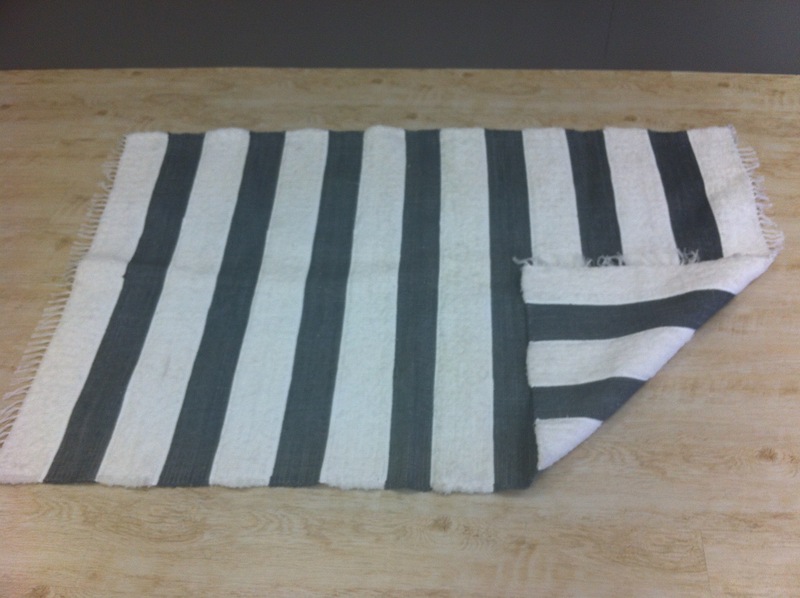 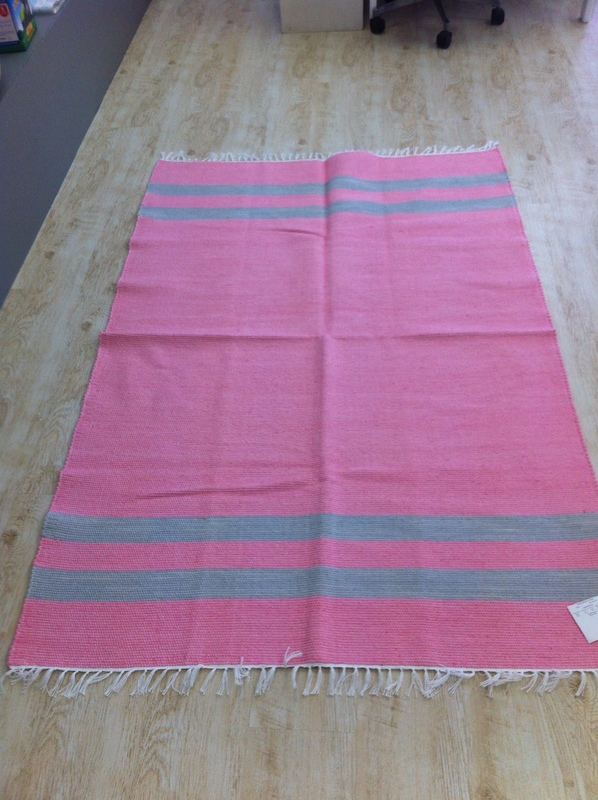 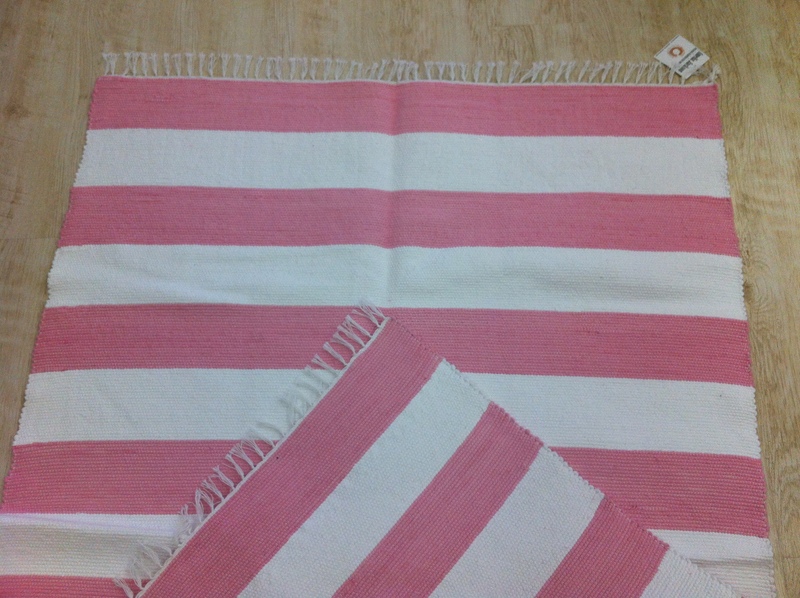 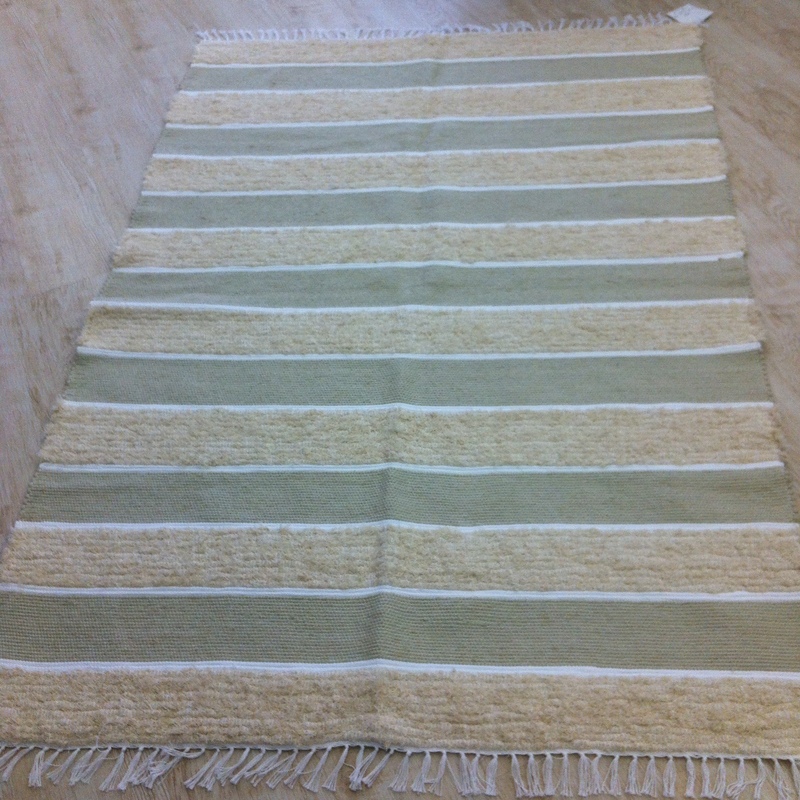 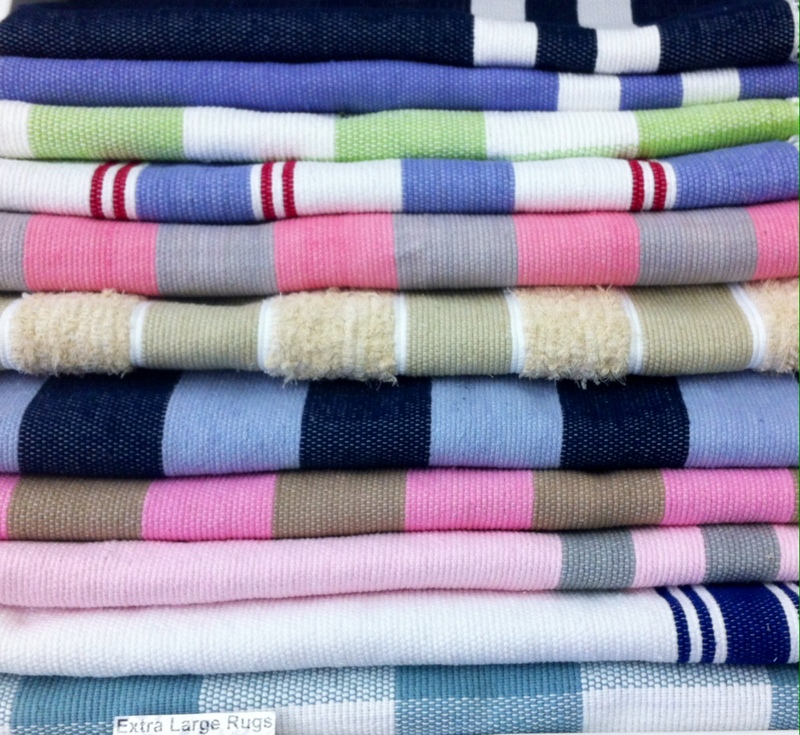 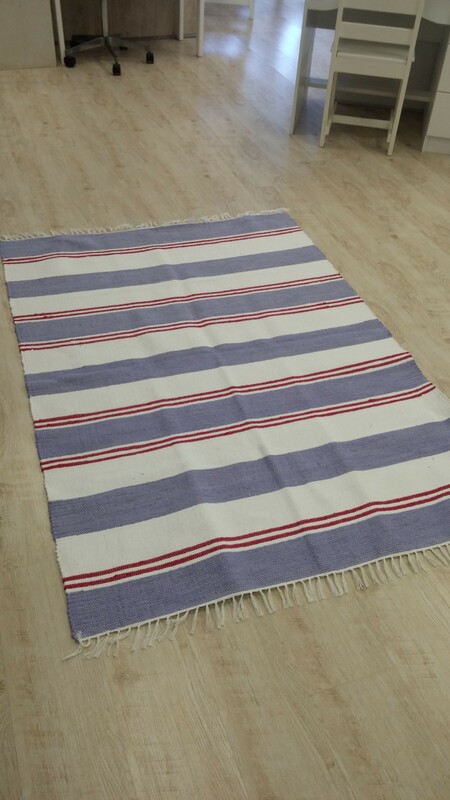 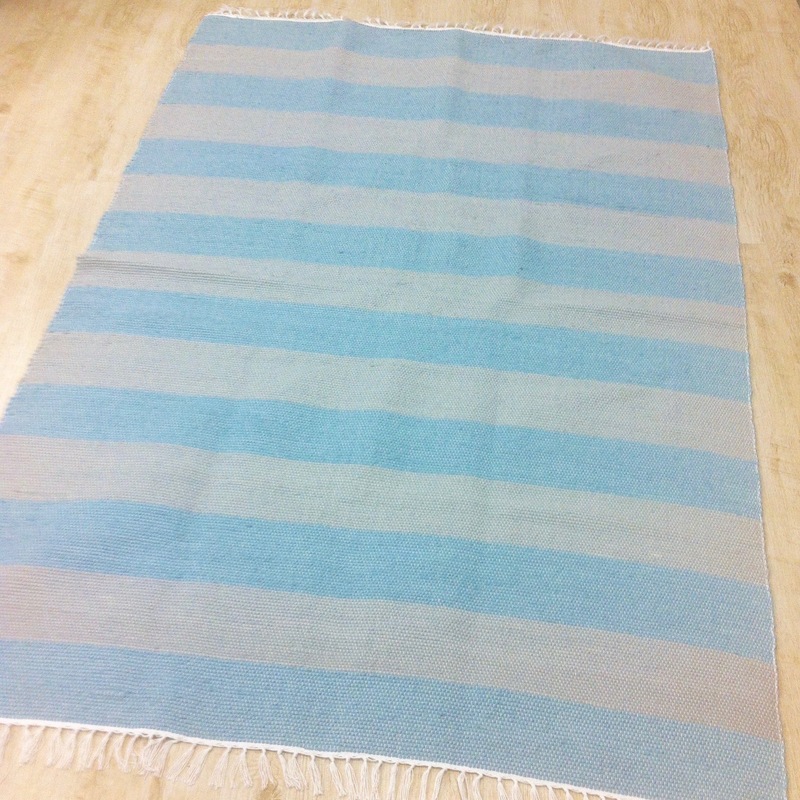 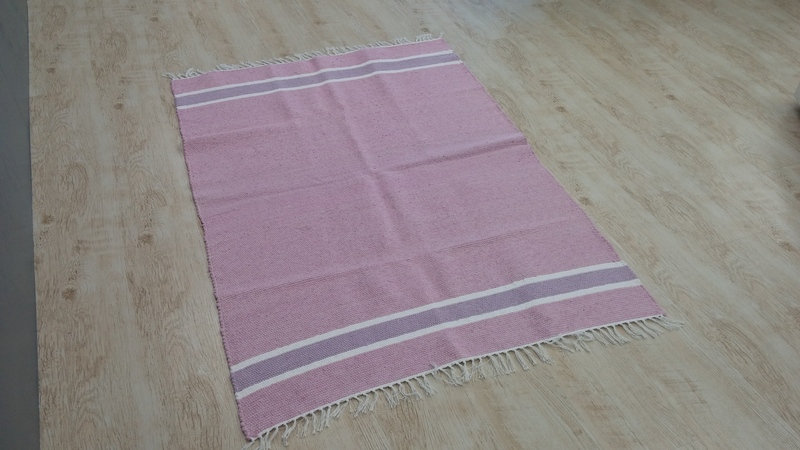 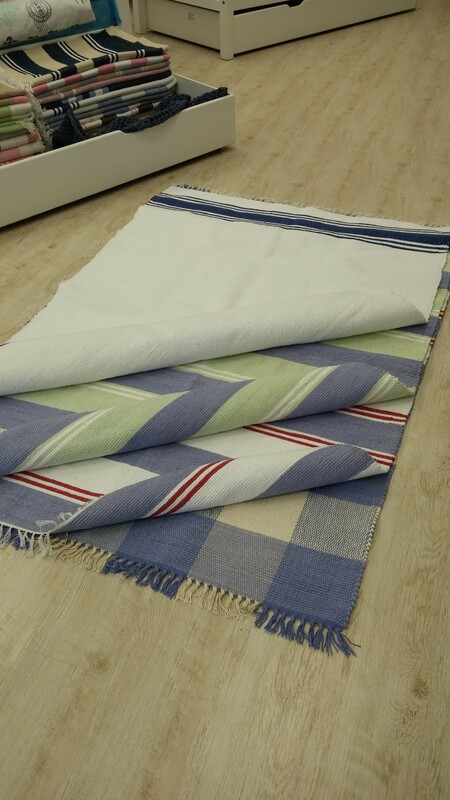 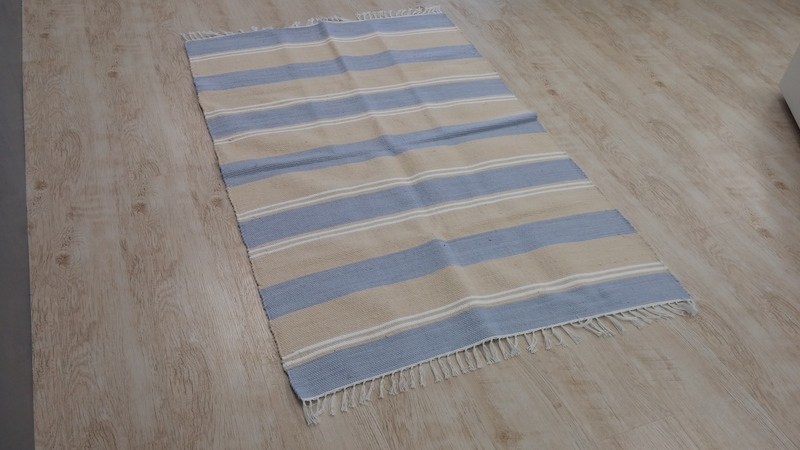 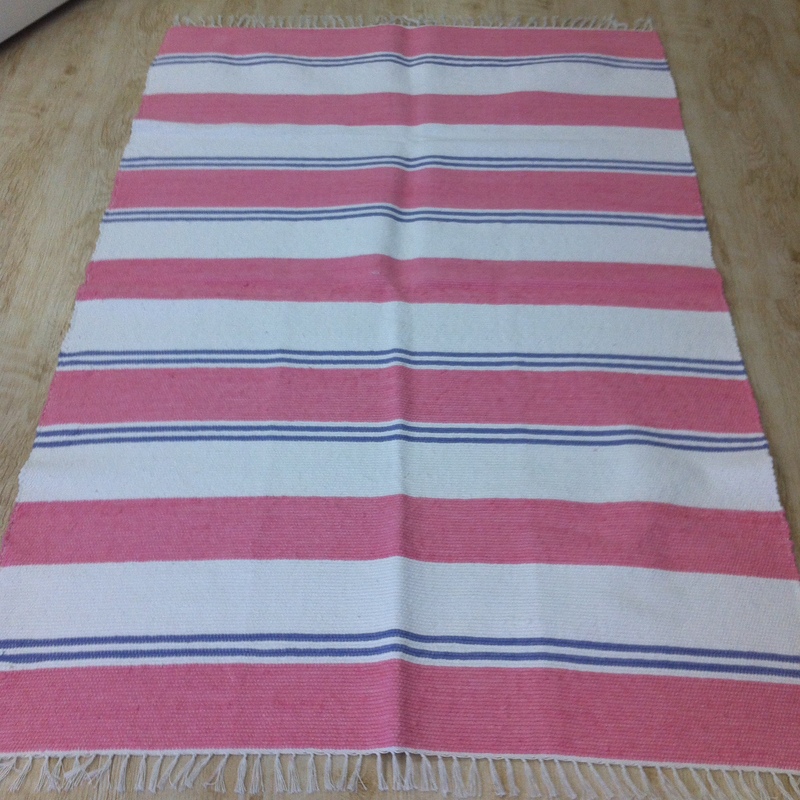 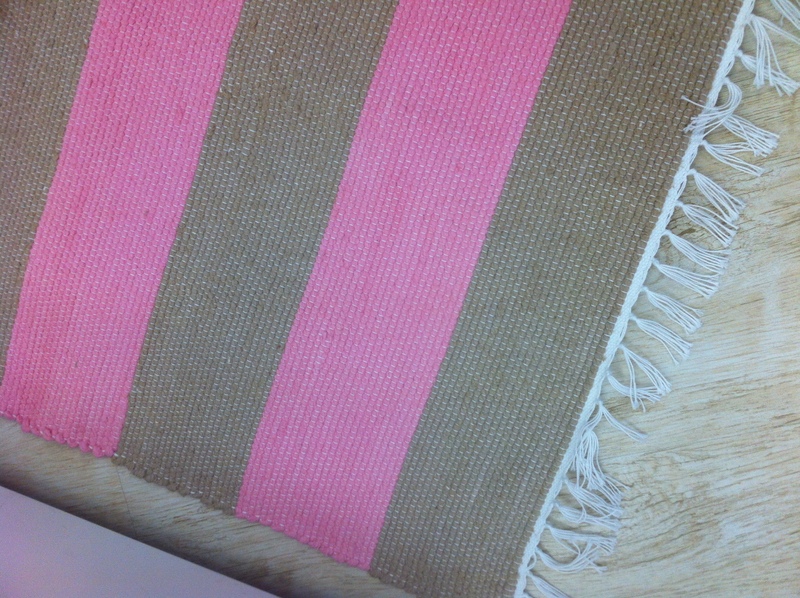 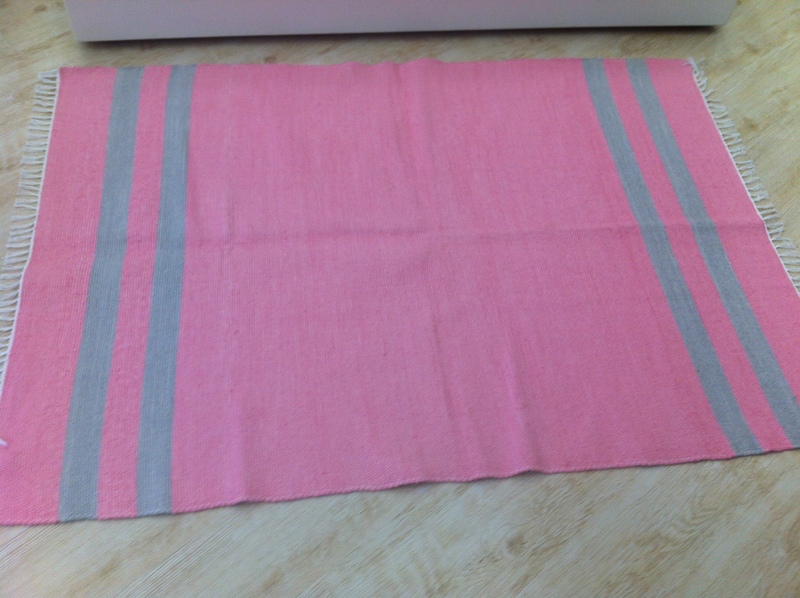 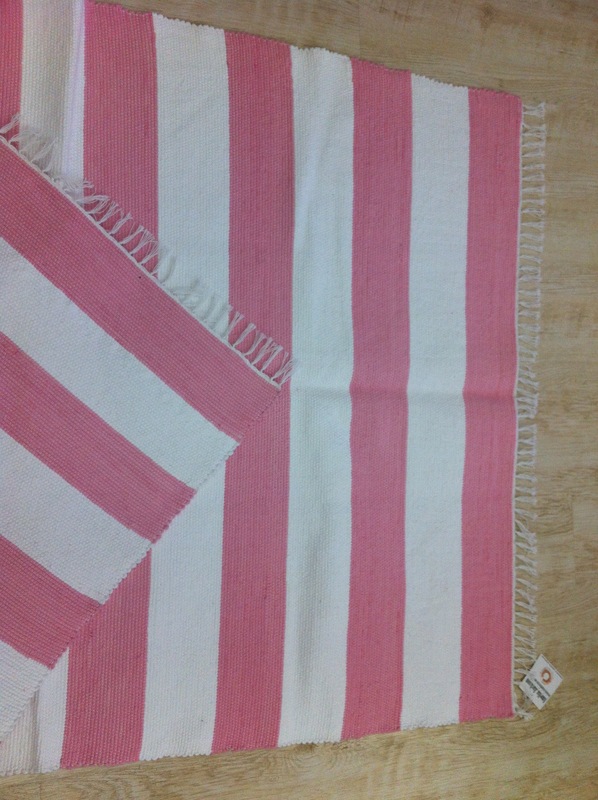 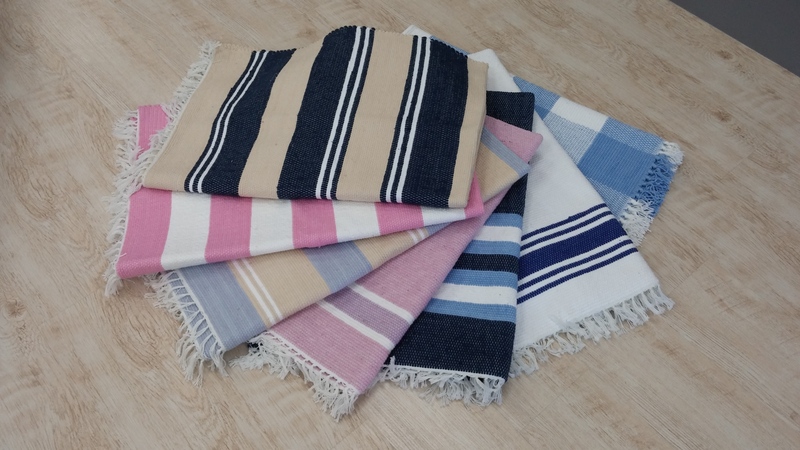 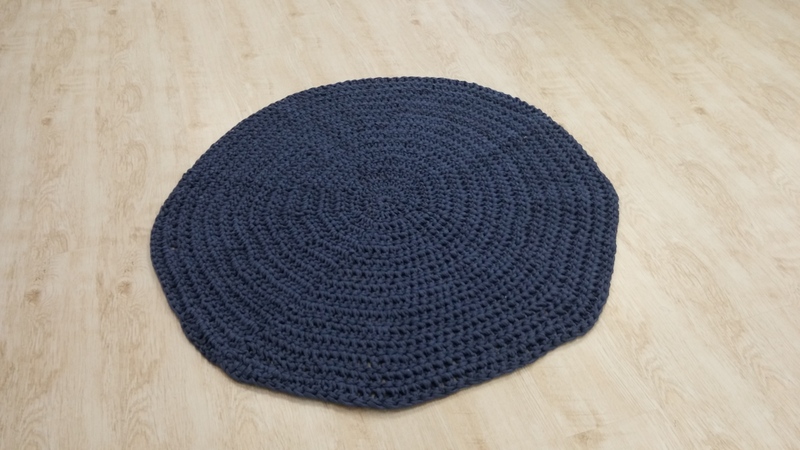 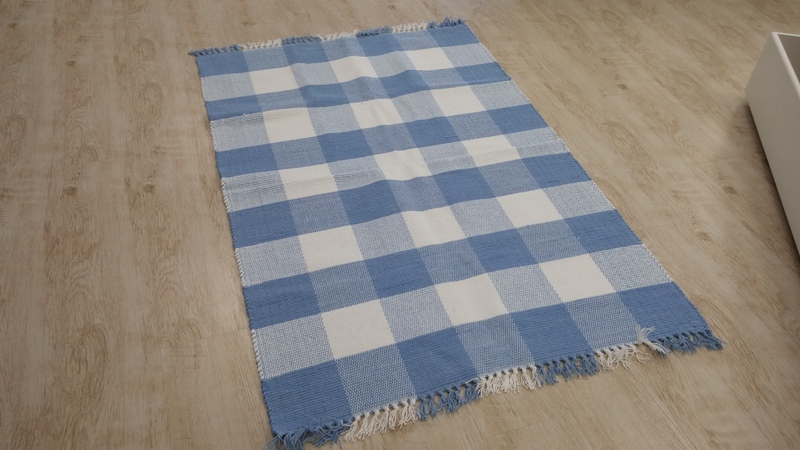 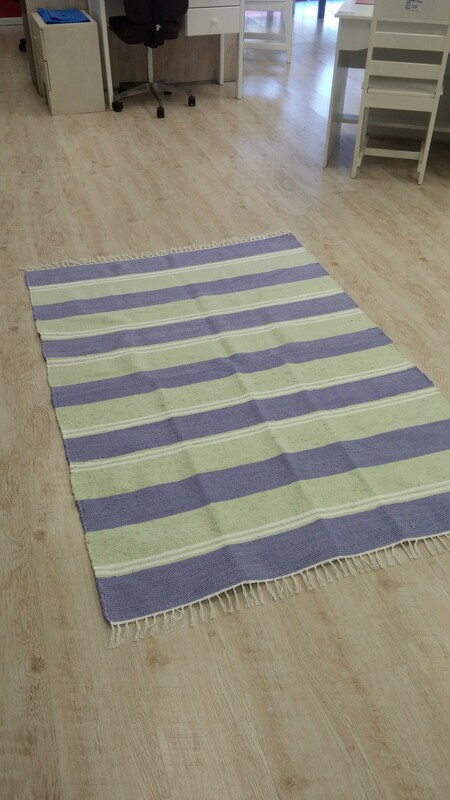 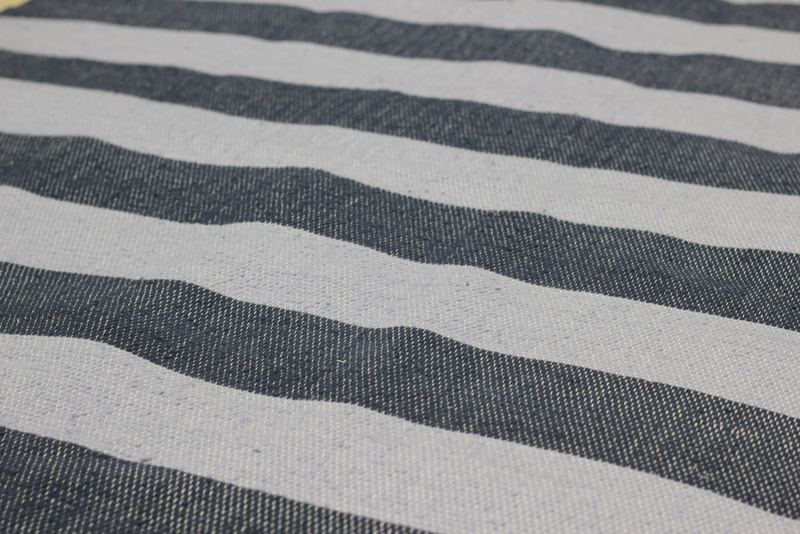 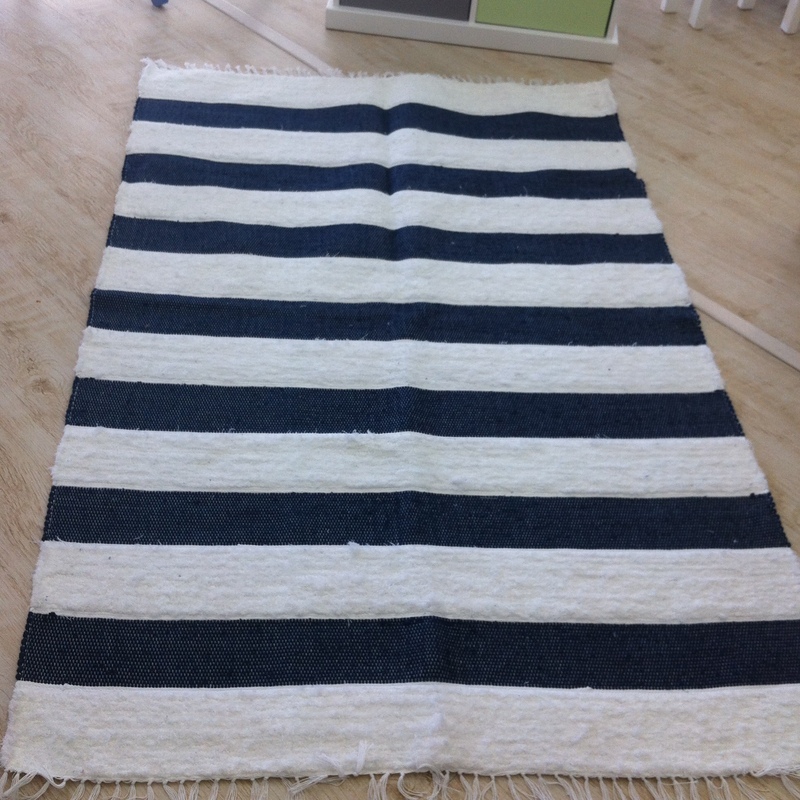 These high quality hand-woven rugs made in Cape Town by hand are perfect for a child’s room. 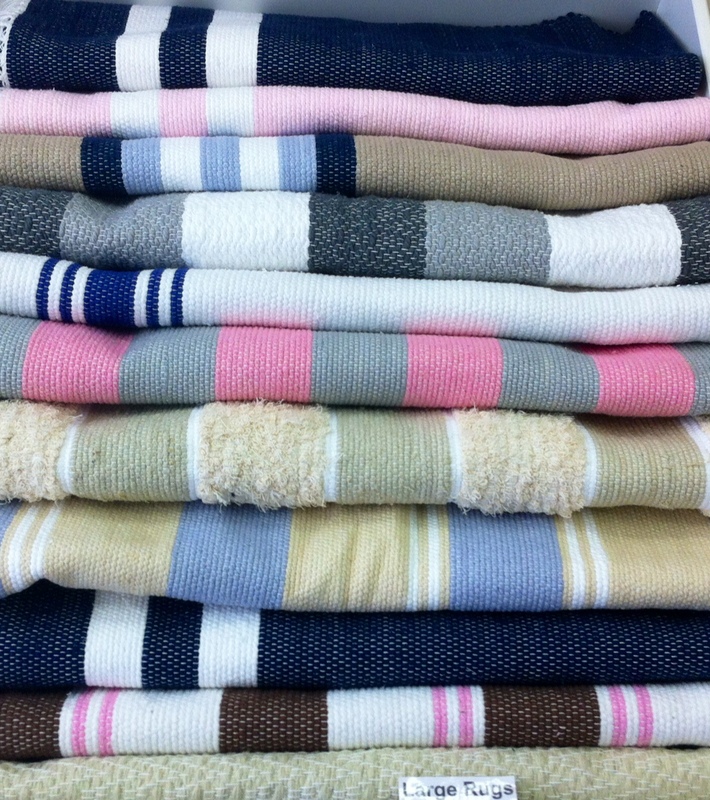 They’re mostly cotton with a small percentage of synthetic. 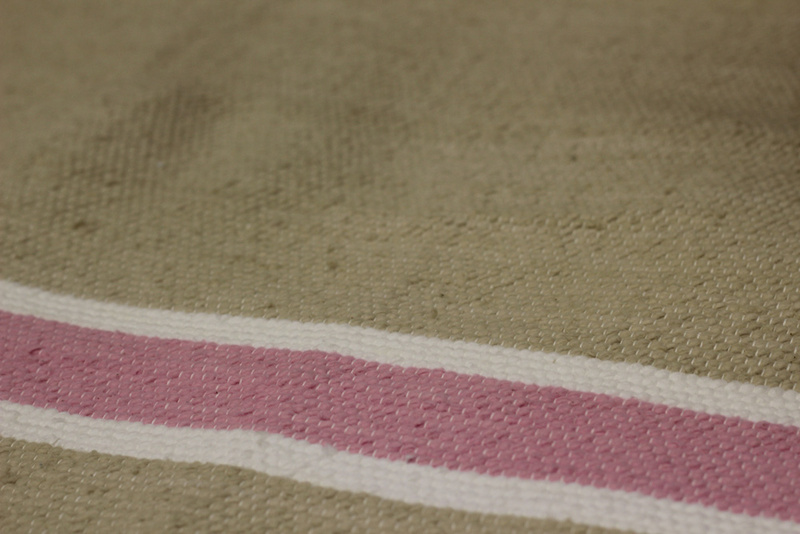 80/20 generally. 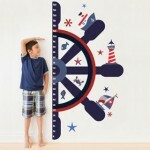 Choose from an assortment of patterns and designs that light up any space. 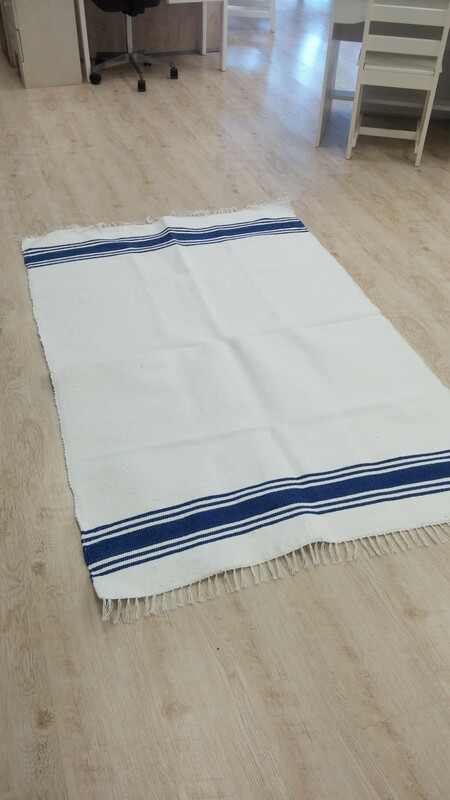 We may not always have the one you’re looking for in stock but most of the time we can order it – takes up to 3 weeks if it’s not in stock at the moment. 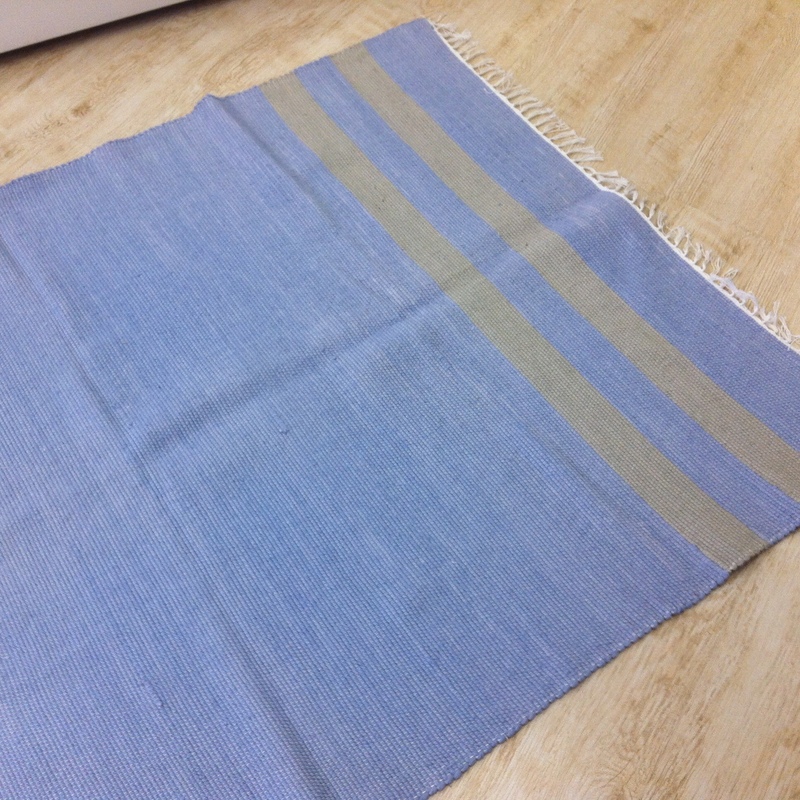 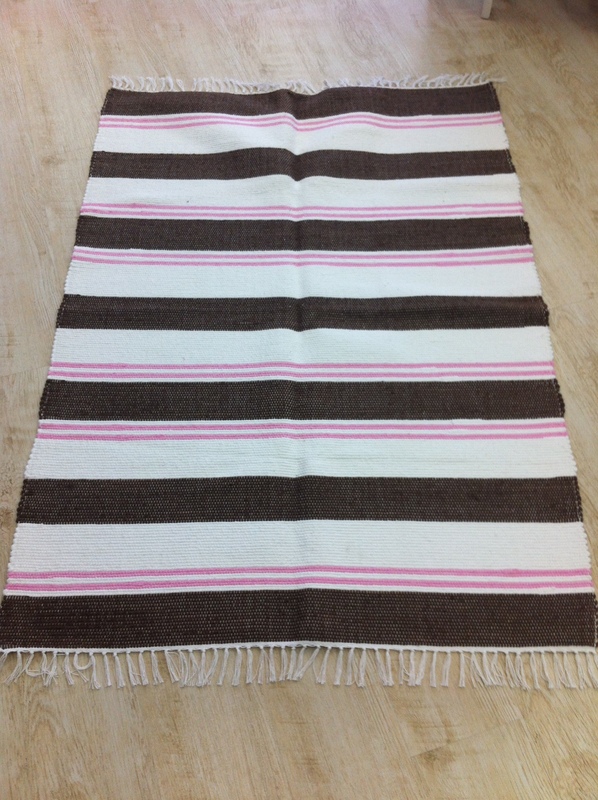 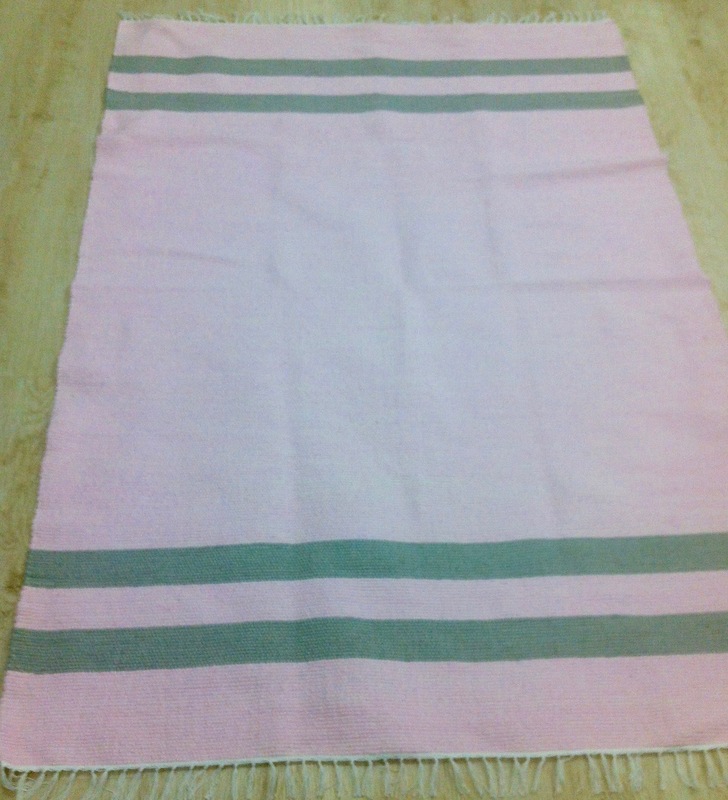 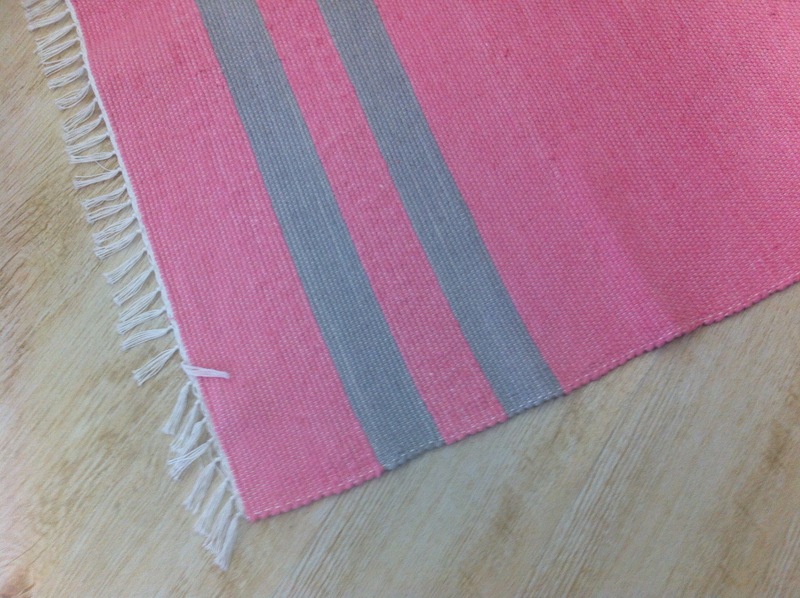 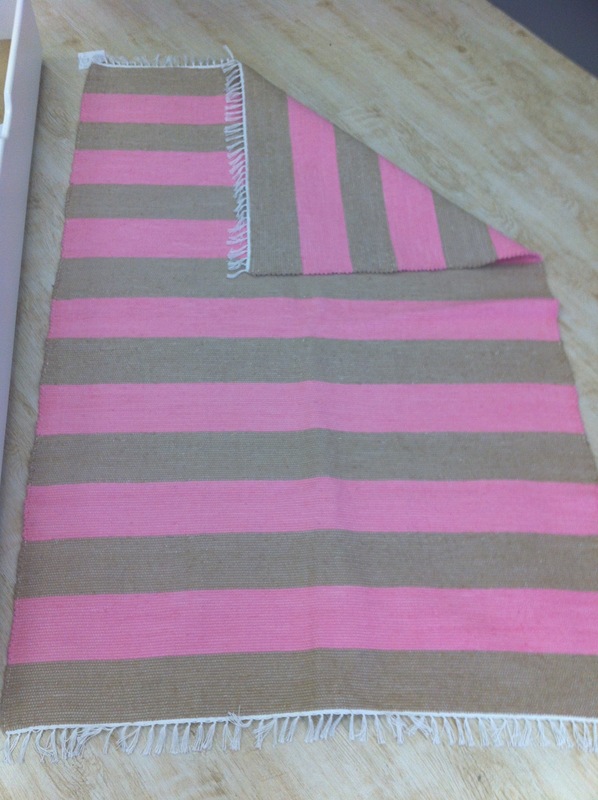 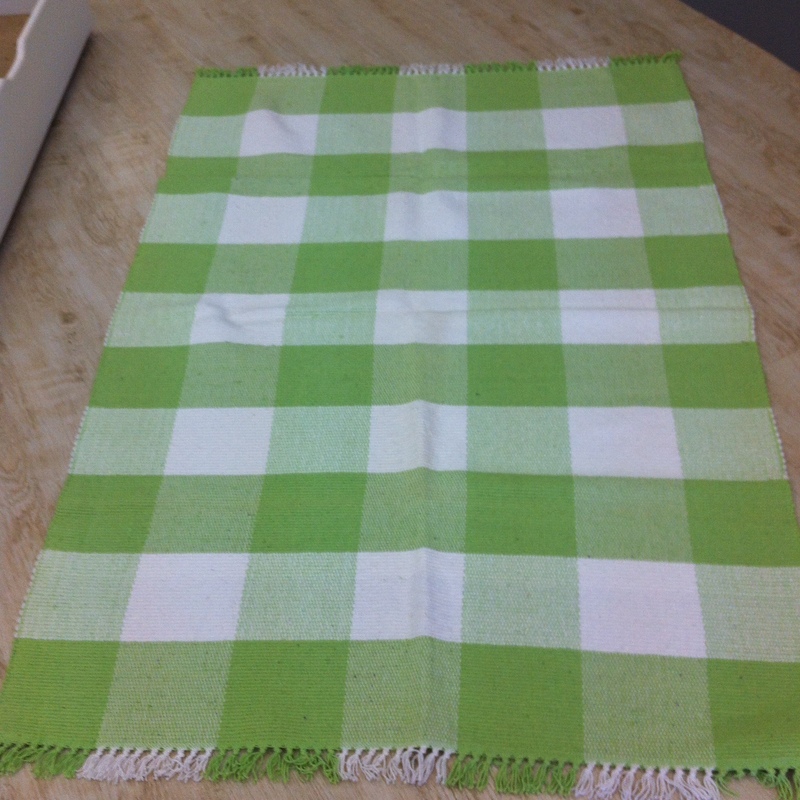 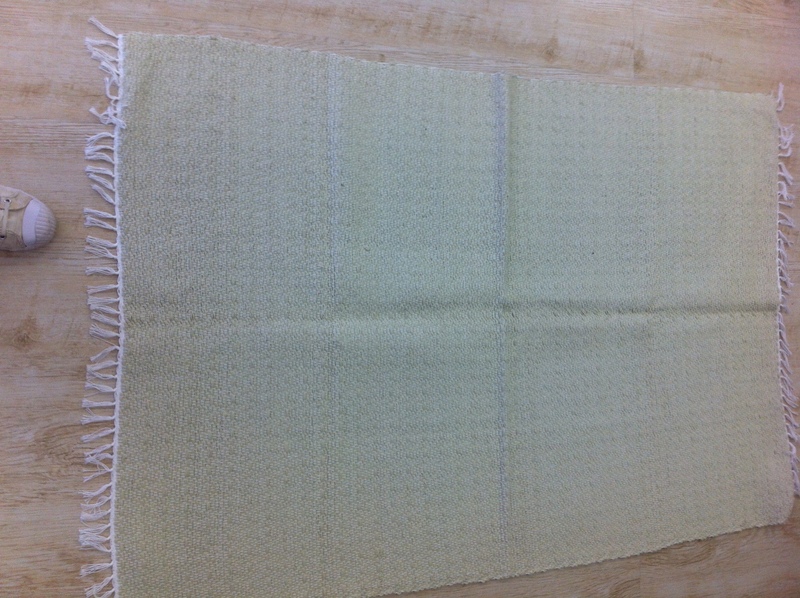 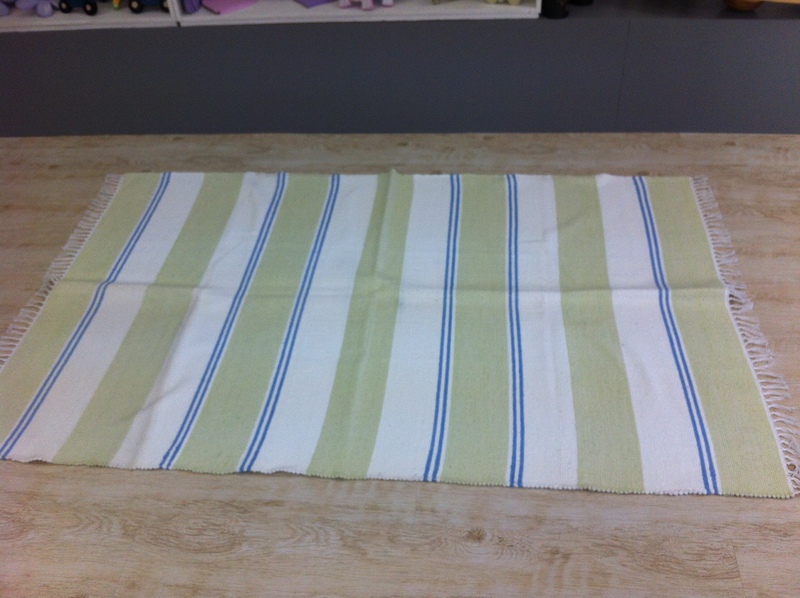 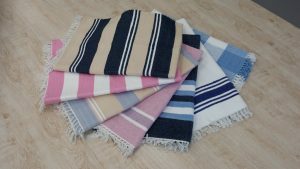 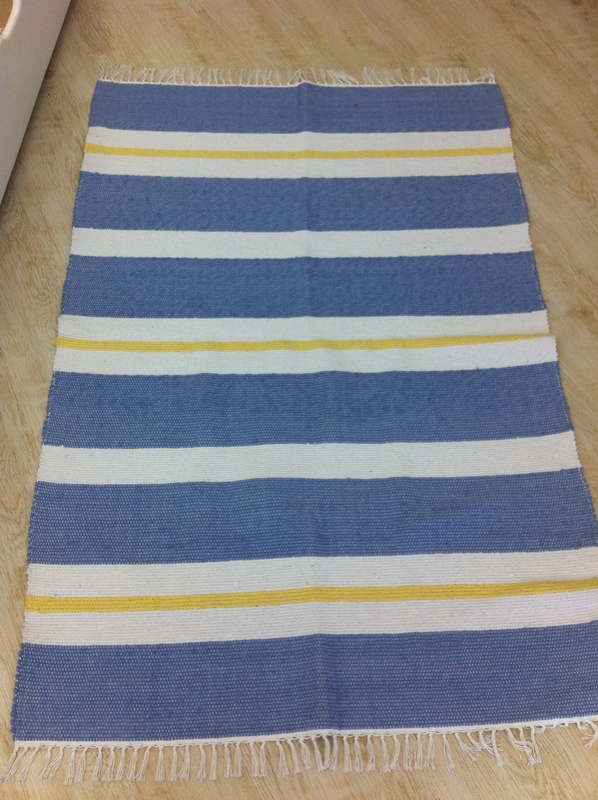 Custom size – The widest we can go is 1200mm because that is the size of the loom but we can make it as long as you wish. 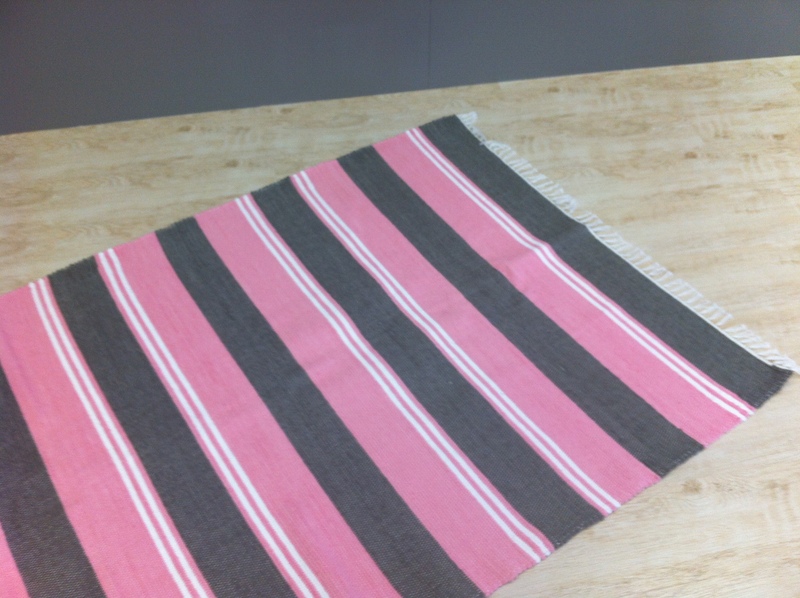 Measure your space and ask for a quote. 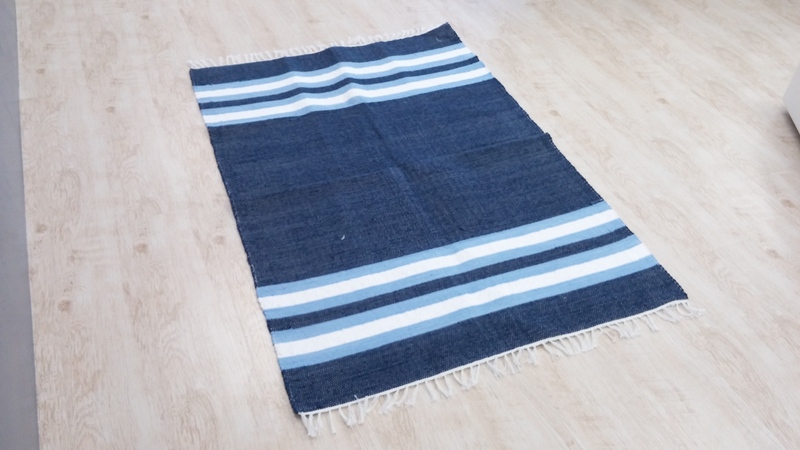 We cannot guarantee that what is shown here right now is definitely available because there is often only one of a kind made and the range changes varies from time to time. 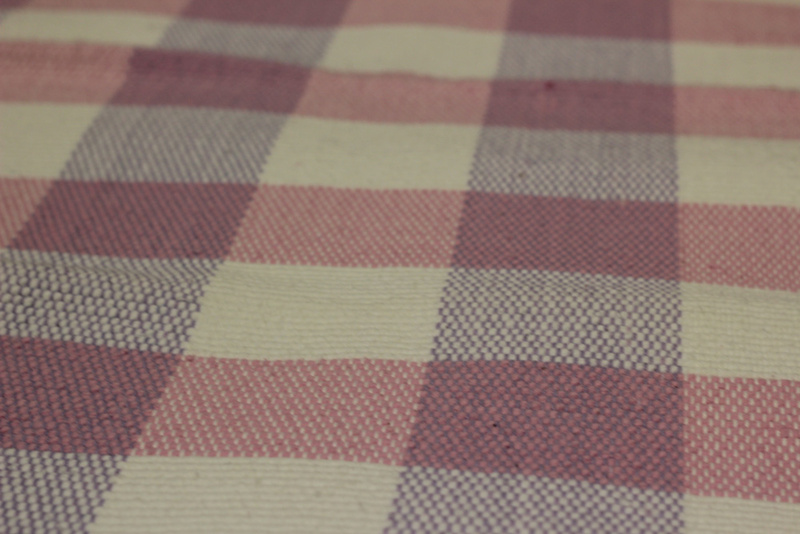 However, if you see a picture you like then take a screenshot and pop us an email to inquire. 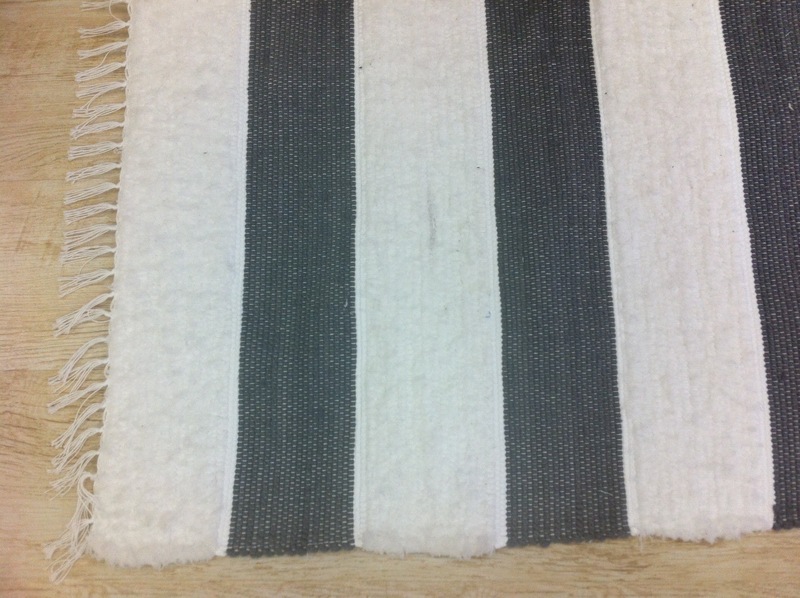 The best part is that the rugs can be washed like any other item in a standard washing machine in COLD water. 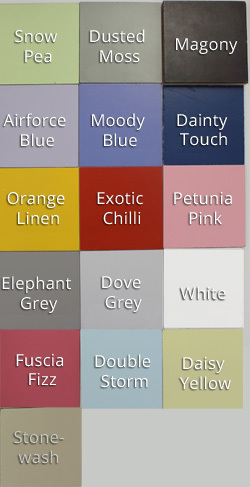 Please visit or call us to see what colours and sizes are available in stock at the moment.